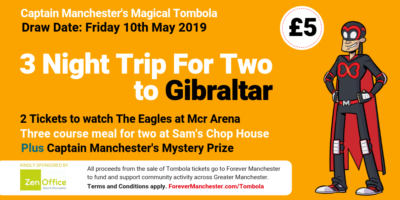 Results of Captain Manchester’s Magical Tombola Draw for March. More news on the unique comedy challenge that will take place at our next Forever Funny event. The draw for the FM 7’s Football tournament. An update on last Friday’s Mirror Ball which raised more than £40,000 to fund and support community activity across Greater Manchester.